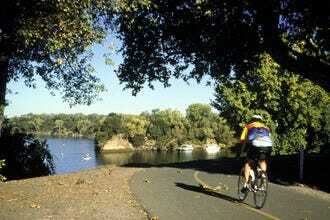 22% of residents commute on bikes and 95% of city roads have bike paths, so it's no real surprise that Davis, California has taken top honors with readers for Best Cycling Town in our latest Readers' Choice contest. Colorado's Fort Collins, with its 310 miles of trails, mountain bike opportunities and even a Bike-In Cinema Series - ran a tight race and landed a very solid second place. Rounding out the top 10 were Minnepolis, Madison, Greenville S.C., Chattanooga, Tucson, Durango, Sacramento and Bend, Ore. It's notable that so many cities in northern latitudes gained traction with pedal-pushing readers. Only two southeastern cities represented the options east of the Mississippi. One of them - Greenville, S.C. - is the hometown of legendary champion cyclist George Hincapie, who served as our Expert for the category, and made the original 20 nominations. Nicknamed "Bike City USA" and the "Bike Capital of America," Davis enjoys bike lanes on 95 percent of its arterial roadways, and a whopping 22 percent of residents commute by bike. It was the first (and one of only three) cities to earn a platinum designation by the League of American Bicyclists and is home of the U.S. Bicycling Hall of Fame. What's not to like about a city with a local brewery (New Belgium) that hosts an annual Bike-In Cinema series on its front lawn? 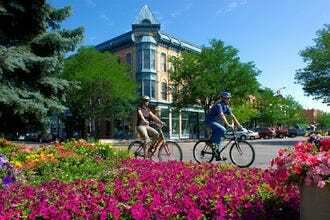 Fort Collins' 310-mile network of paths and bike lanes, an innovative bike share program started back in 2008, and miles upon miles of mountain biking trails in the surrounding plains and mountains simply add to the appeal of this city, one of only four to hold the League of American Bicyclists platinum level ranking. Despite its northern latitude, Minneapolis often ranks among the top cities in the world for cycling, with features like indoor bike parking and over 120 miles of on- and off-street paths and trails. The city is super flat - perfect for leisurely two-wheel touring - and the convenient Nice Ride bike share program offers a fleet of 1,500 bicycles to residents and visitors of the Twin Cities. An up-and-coming cycling community and a League of American Bicyclists gold-medal community, Madison hosts racing events throughout the year. It also actively promotes a healthy lifestyle. The city's network of off-street bike paths and on-street lanes make it easy to get practically anywhere on two wheels. B-cycle, the city's bike share program, makes 350 bikes available from 35 stations spaced throughout the city. 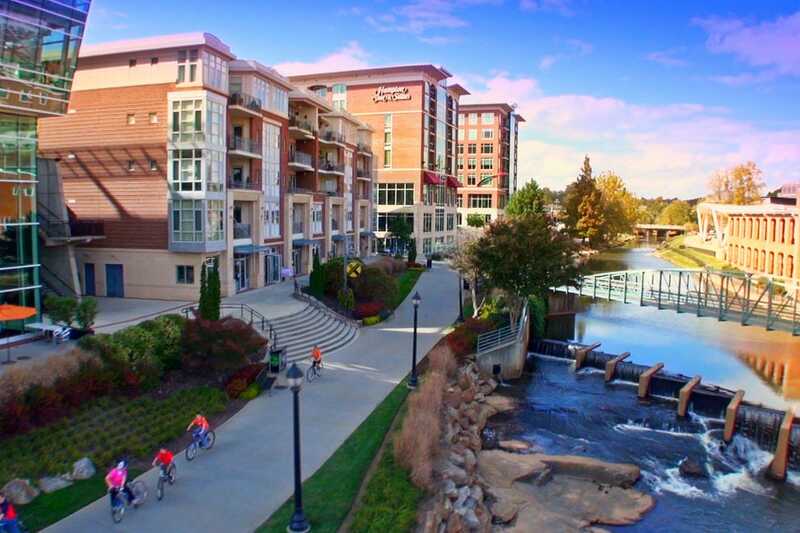 Greenville is "the best place to ride a bike on the east coast," says George Hincapie, renowned competitive cyclist, this category's expert and a Greenville resident. Located in the rolling foothills of the Blue Ridge mountains, the city's own Paris Mountain lures serious cyclists, but a vast network of low-traffic roads - and the lengthy Swamp Rabbit Trail for recreational cyclists make this Upstate destination a very bike-friendly city. It's also hosted multiple Pro cycling events. 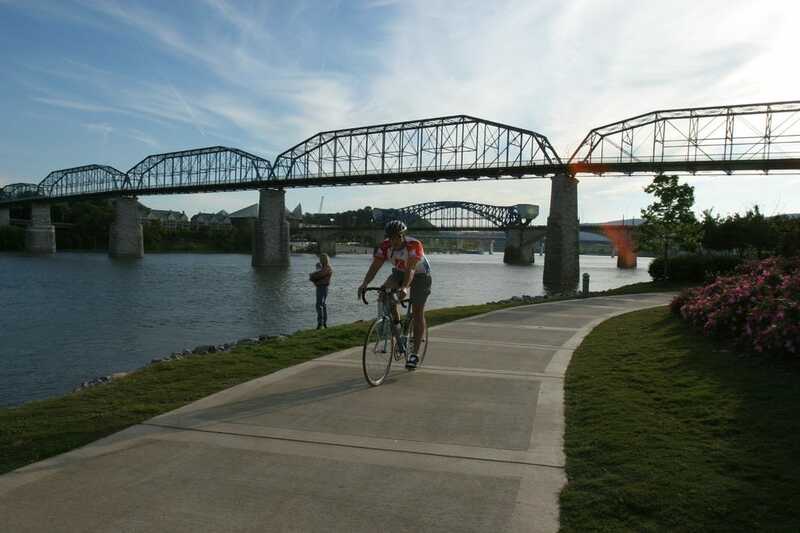 With plentiful green belts and a 10-mile multi-use path along the Tennessee River, Chattanooga has quickly become a new 'it' spot among cyclists. The Bike Chattanooga Bicycle Transit System features 30 stations spread throughout the city with touchscreen kiosks, making it a breeze for visitors to rent a bike and explore the city. The annual 3State/3Mountain Challenge which starts in Chattanooga is a favorite of George Hincapie's. George Hincapie nominated Tucson for, among other things, its strong winter appeal. 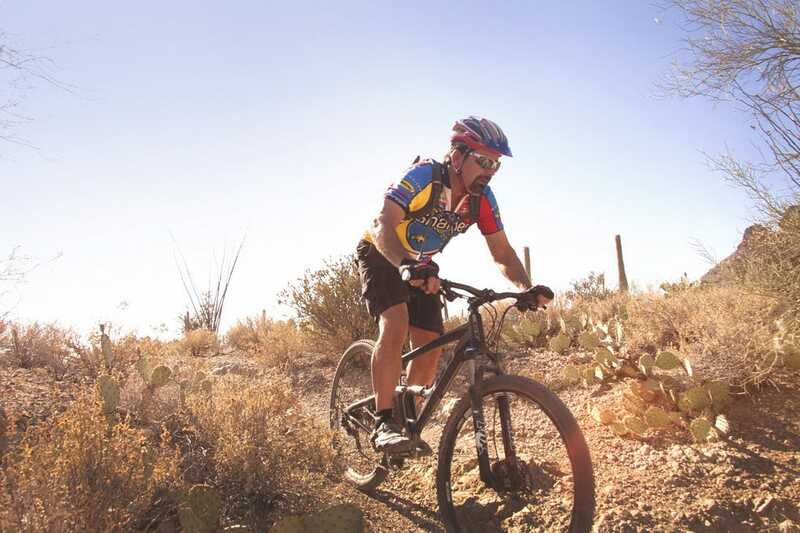 During the colder months, the city becomes a hotbed of cycling activity as northern-based enthusiasts come down to enjoy mild winter temps and dry conditions of the high desert. 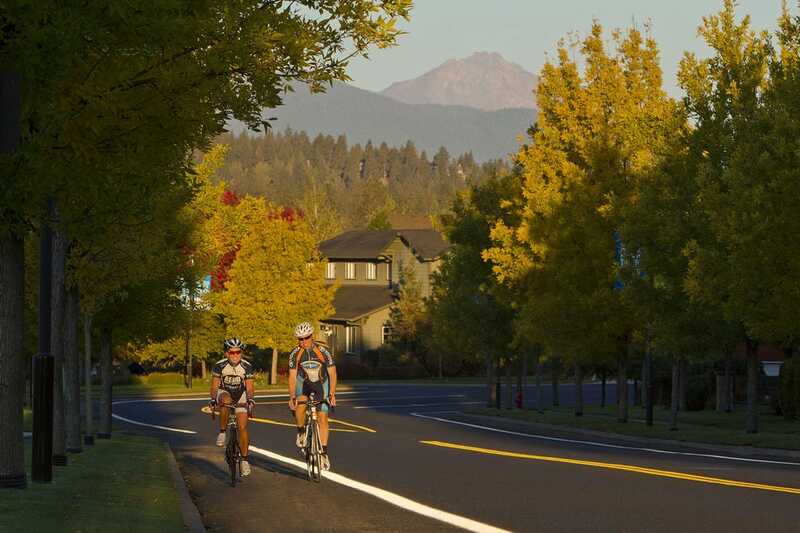 The 55-mile car-free Urban Loop, in addition to a whopping 700 miles of bike lanes, makes this college town a favorite with road cyclists, while the surrounding mountains, including Mt. Lemmon, provide a wide range of terrain for mountain biking. 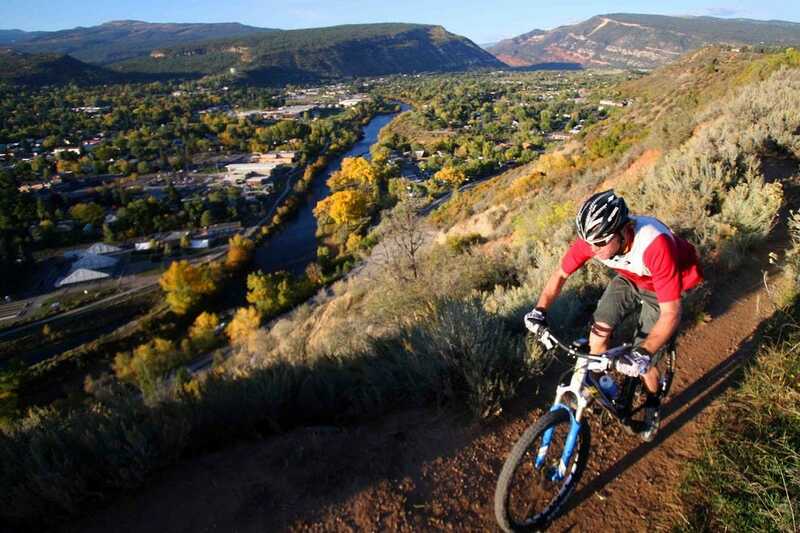 With Durango as a base, a cyclist has access to thousands of miles of world-class singletrack downhills, switchbacks and trails in the mountains just outside of town. 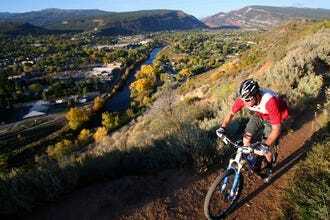 For road warriors looking to explore town on two wheels, there's the 7-mile Animas River Trail, a shared-use bike and pedestrian path that runs nearly the entire length of Durango. George Hincapie calls Durango an "outdoorsy, bike-friendly community." 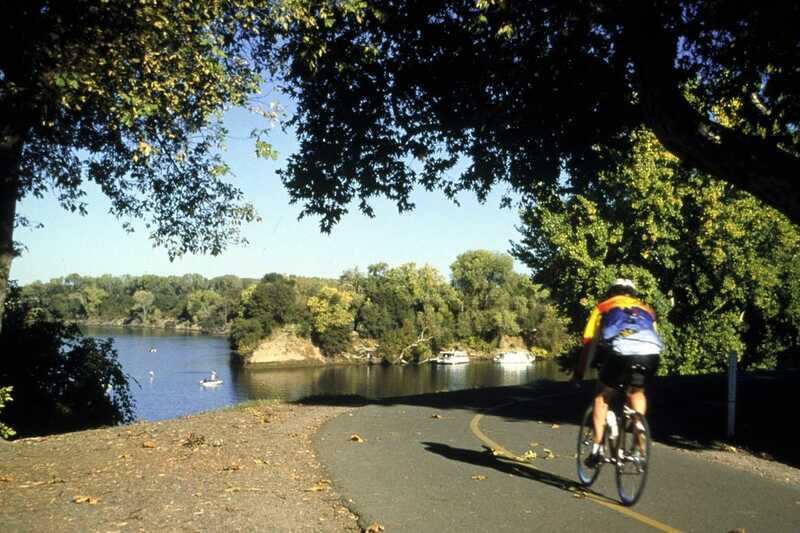 A frequent starting point for the Tour of California, Sacramento's main claim to cycling fame is its 32-mile American River Parkway bike trail, with plenty of access points to hop on and off to explore the city. A network of bike lanes and green-painted bike zones in the Capitol Mall make the roads safer for cyclists. This community is well-established and very friendly to two-wheelers. Considered one of the nation's best destinations for mountain biking, Bend sits in the foothills where the Cascade Mountains meet the high desert, so it enjoys mild weather and a long riding season. With a staggering 484 miles of singletrack within an hour drive, riders of all levels can find the perfect trail in Bend (and a good microbrewery for a cold one after). Because Hincapie selected the original 20 nominees, cities landing on that list also have bragging rights. The remaining cities which competed for votes from the bicycle crowd include Ann Arbor, Mich.; Asheville, N.C.; Austin; Boulder, Colo.; Gainesville, Fla.; Malibu, Calif.; Moab, Utah; Park City, Utah; Seattle; and Portland, Ore.
Congratulations to all our winners, and a special thank you to George Hincapie. Between bike share programs, the availability of bike paths, great scenery and local cycling groups, these cities make a great must-visit list for active vacationers of all ages. During a lauded 19-year pro career, George Hincapie was regarded as the premier American classics rider of his generation. He won three US National Road Race championships and rode in the Tour de France an astounding 17 times. Hincapie also competed in a record 17 Ronde van Vlaanderen races and finished second at the grueling Paris-Roubaix, the best ever for any American. 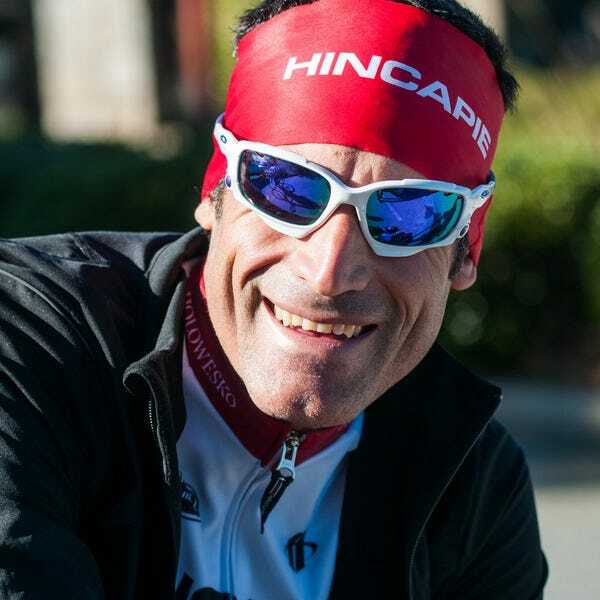 Hincapie is greatly admired for his favorite role - that of a leader and valued teammate to winners of cycling’s top events such as the Tour de France, World Championships and Milan-San Remo. He now resides in Greenville, South Carolina, where he's involved in his family's businesses: Hincapie sportwear company, and the nearby Hotel Domestique, which gives recreational and training cyclists a home base in the beautiful Blue Ridge foothills.